This is so great! I’m definitely making this soon!...To prepare this recipe you need first to cook ground beef till meat is browned; drain. Second step : At this step all what you need to do is to stir in beans, tomato sauce, diced tomatoes, taco seasoning mix & also 1/4 c. of cheese. Step 3 :After all that work new you need to sprinkle One cup corn chips in bottom of 8x8 baking dish. And then cover with chili. Next you need to bake 350 F About 20 mins. After that you need to spread sour cream over chili. 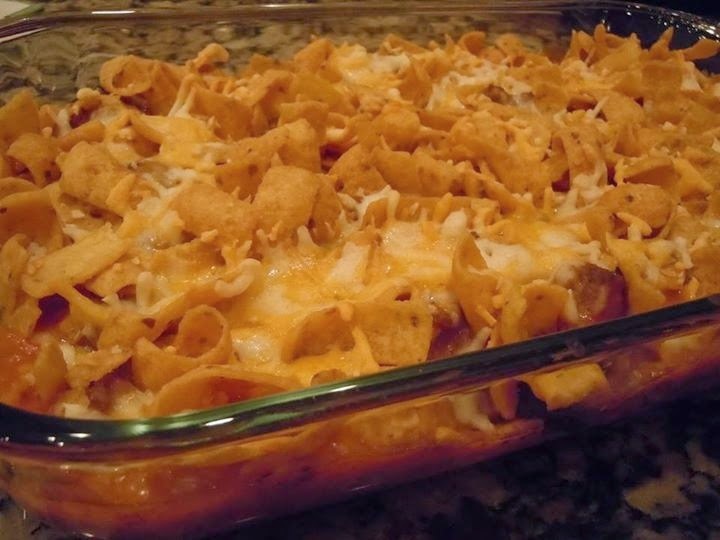 Finallly use remaining corn chips & cheese to top with . Then bake again between 4 to 5 mins longer. Serve and enjoye!! !